Agility is the ability to change the body's position efficiently. It requires the integration of isolated movement skills using a combination of balance, coordination, speed, reflexes, strength, and endurance. Agility is the ability to change the direction of the body in an efficient and effective manner. 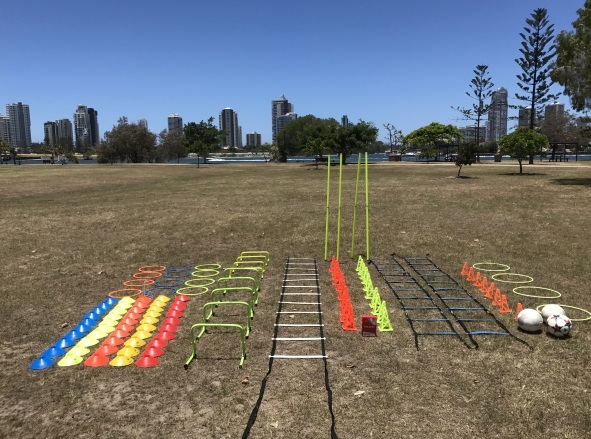 During this training we use speed ladders, hurdles, agility rings, agility pols, balls in different sizes and cones. Besides doing exercises we also provide advice about Fitness, Health, Nutrition, Lifestyle and much more.